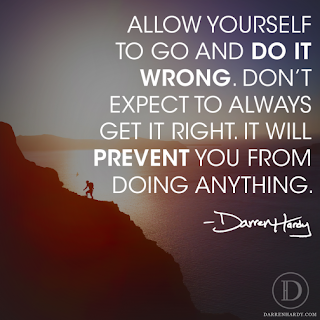 This Quote was taken direct from Darren Hardy's Daily Mentoring that I have been following every morning. 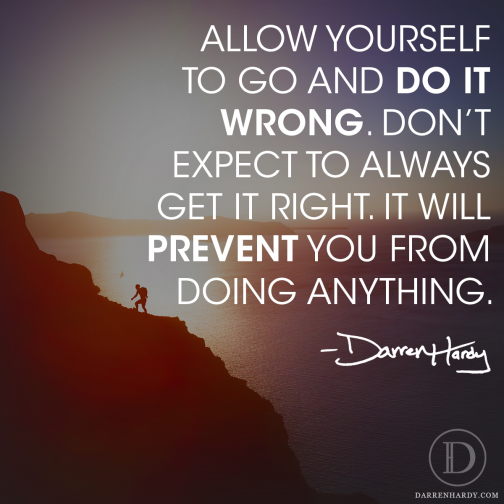 He has some fantastic views and advice and I wanted to share one with you today. "This isn’t a new phenomenon. you have to be willing to go for BIG FAILURES. But are you really doing it? Steven Spielberg was rejected by the University of Southern California School of Cinematic Arts multiple times. Vera Wang failed to make the 1968 US Olympic figure-skating team. Then she became an editor at Vogue, but was passed over for the editor-in-chief position. R.H. Macy had a series of failed retail ventures throughout his early career before he finally launched Macy and Co., today known as Macy’s.